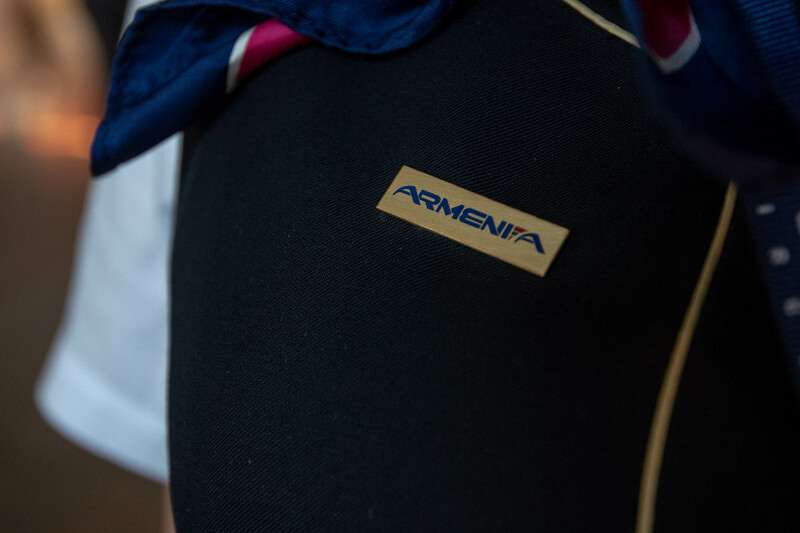 On 23rd of November there was a huge queue of passengers in the head office of the air-company “Armenia” from the early morning. 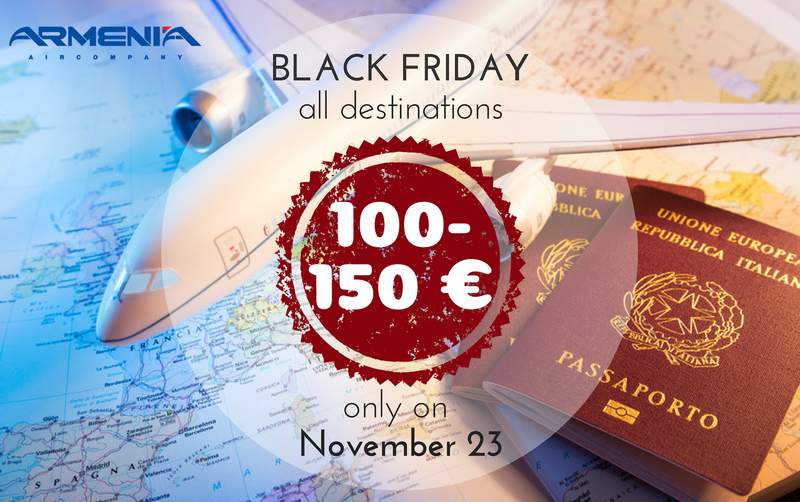 “Armenia” had joined the famous international “Black Friday” shopping day, offering its passengers a big sale of more than 70 % for the Russian and European directions two-way air-tickets. If the price of the Russian direction of Voronezh and Mineralnye Vody usually ranges from 250 to 300 Euro, the direction of Leon- to 400-500 Euro and Tel Aviv- 350-400 Euro, during the action “Armenia” offered tickets to the Russian direction for 100 Euro and tickets to Lion and Tel Aviv for only 150 Euro, included taxes, 23kg baggage allowance and 7kg the hand luggage allowance. At the same time, the passengers were free to chose the dates of their flight with no restrictions. The action had a huge response within the society. The passengers’ flow was a few times bigger than expected. As a result, the working day in the head office of the air-company began earlier and ended a few hours later than usual. The employees of the company managed to serve more than 700 passengers. As the deputy director of the air-company Gevorg Khachatryan mentioned, such low prices were driven not only by “Black Friday”, but also by the anniversary of the air-company. We would like to remind you that “Armenia” air-company was founded in 2015. It realizes regular and charter flights to Russia, Europe and Central Asian countries. The fleet of the air-company consists of Boeing 737 air-planes, the base airport is “Zvartnots” international airport in Yerevan. The air-tickets of the air-company may be purchased both in the official website www.armeniafly.com and from the head-office, located in RA, Yerevan, V.Sargsyan 10, “Piazza Grande” business center. We wish you a safe flight and a happy landing. 16.08.2018 - The Armenians hurry to help: the unbelievable adventures of the children’s ensemble in Italy. Dancing group “Lernetsiner (the Lernetsis)” will remember their trip to Italy for the rest of their lives. It’s unknown how everything was going to end for the Armenian guys in the age of 8-23 if the help of the diaspora members didn’t come in time. The passenger of Aircompany "Armenia" Voronezh-Yerevan flight is the part of historic indicator of Voronezh International Airport. Zaruhi Hakobyan couldn't have imagined that the day of her return to Armenia would become remarkable with various surprises. The pilot with 33-years’ experience has left UAE and returned to his homeland after receiving an offer from the air company “Armenia”.